There has been an ongoing battle to end homelessness in the United States, particularly among veterans. Over the past three decades, considerable research has been conducted to identify risk factors for veteran homelessness, and the Department of Veterans Affairs (VA) has funded much of that research. In 2009, the Department of Veterans Affairs (VA) announced its commitment to end veteran homelessness in five years. As we near the end of that five years, it’s important to reflect on what we have learned and what we now know about veteran homelessness. 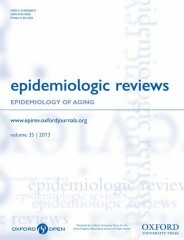 We have recently conducted a systematic review of the literature and summarized our findings from 31 studies on veteran homelessness in a recently published article, “Risk Factors for Homelessness Among US Veterans.” Our questions, a few of which are included below, continue to be of critical importance to policymakers, local communities, and health providers seeking to assist those returning from war. Are veterans at greater risk for homelessness than other adults? The short answer is yes. The long answer is also yes, but that veterans from certain service eras are particularly at risk compared to other non-veteran adults. Female veterans are particularly at risk compared to other female non-veterans. The military is an All-Volunteer Force where people enlist to be in the military. However, before 1965, people did not “volunteer” but were drafted into the military. We found that veterans who served in the early years of the All-Volunteer Force in the late 60s and early 70s were particularly at risk for homelessness, and it has been theorized that this was because many men volunteered to serve during this time to escape poor economic conditions or lack of family support. It is also notable that women veterans seem to be at particularly higher risk for homelessness than women non-veterans. As the number of women in our military climbs, VA women specialty clinics have been formed to try to address this issue. But generally, veterans as a whole are at slightly greater risk for homelessness. The most recent 2014 Annual Homeless Assessment Report estimates that 11% of homeless adults in the United States are veterans, while only 7% of Americans are veterans. What are the major risk factors for veteran homelessness? Besides poverty, the strongest and most consistent risk factors for veteran homelessness seem to be substance abuse and mental illness. This is not surprising, as this trio of poverty-substance abuse-mental illness also represents the major risk factors for homelessness among non-veterans. This trio is also associated with many other bad outcomes, such as stress, hospitalization, criminal justice involvement, etc. Research has shown there are strong associations between poverty-substance abuse-mental illness, and they often do not occur in isolation but together. And together, they may dramatically increase a veteran’s risk for homelessness. One can easily understand how these factors could increase risk for homelessness. Money is needed to find and keep housing, so those in poverty struggle to earn money to afford housing. Mental illness, particularly psychotic disorders, can lead to difficulties with navigating everyday life, social interactions, and even understanding reality. Therefore, people with severe mental illness may have difficulties with finding housing, making payments for housing, and providing upkeep for their homes to keep them habitable. People with substance abuse problems also experience these same difficulties, and their housing problems can be exacerbated by spending money on substance use. For some veterans, their substance abuse began when they were in the military and continued after they left. There is some research, though, to suggest that recent homeless veterans who served in Iraq and Afghanistan have fewer substance abuse problems than homeless veterans from previous service eras such as Vietnam. How are these issues viewed from a veteran’s perspective? As a veteran coming from an environment surrounded by poverty, substance abuse, and mental illness this topic is highly relatable. Many service members seek out the military as a way to escape the rigors of everyday life and family. Once sworn in, your problems become obsolete to your comrades and, in many instances, to yourself as well. For many, the military is a major detox of poverty, substance abuse, psychosocial issues, and homelessness. The military provides housing, medical and dental services, meals and other necessities, along with instruction and structure. In a way, the military offers many of the tangibles that social services and healthcare institutions provide. Many soldiers are able to use the military to grow, learn independence, and carry out responsibilities in their everyday life. But unfortunately, some fall short of that. Some return home to the same environments they wanted to leave in the first place. Some have mental illness or indulge in substance abuse making their lives even harder, leading to problems like crime, unemployment, and of course, homelessness. Some have difficulty obtaining help, and at times, they may feel turning to the streets is their only option. Consistent with Dr. Tsai’s research, I think that veteran outreach, providing resources, and assuring multiple resources are in place for veterans prior to their leaving the military are keys to preventing veteran homelessness. We can only hope to continue to spread awareness and try to bring an end to homelessness among my fellow veterans. What can we draw from research on veteran homelessness? The battle against veteran homelessness continues to be one waged by many local communities, health providers, policymakers, and others across the country. The research suggests there are particular socioeconomic and mental health factors to target in prevention efforts. But more novel and innovative strategies to prevent and end homelessness are needed. Ending homelessness is an ideal that we should continue to pursue, particularly for those who have served us and our country. Image Credit: “Veterans Day Wreath Laying 2013” by Presidio of Monterey. CC BY NC 2.0 via Flickr. Jack Tsai is a Clinical Psychologist with the VA Connecticut Healthcare System, Core Investigator for the Veterans Affairs New England Mental Illness, Research, Education, and Clinical Center (MIRECC), and Assistant Professor of Psychiatry at Yale University School of Medicine. He received his Ph.D. from Purdue University and has focused his research on addressing the needs of homeless populations, improving understanding of posttraumatic stress, and evaluating services for adults with severe mental illness. A federal grant recipient, Tsai is the co-author of "Risk Factors for Homelessness Among US Veterans" and has published over 100 articles. Follow him on Twitter @Jtsailab. Kevin Payne is an Psychology Technician/Research Assistant with the West Haven, CT Veterans Healthcare System and directly assists Dr. Jack Tsai. He served in the U.S. Navy as a Corpsman for eight years (March 2007- March 2015) and was deployed in 2010- 2011 in support of Operation Enduring Freedom (Operation 10-2) as a Corpsman with India Company (I. Co) 3/25 Reserve Unit out of Buffalo, NY.